Motorola this week started selling a brand new Moto Mod for its Moto Z series of smartphones. Called Moto Folio, the new accessory is currently priced at just $11.24, thus being the cheapest Moto Mod to date. Basically, the Moto Folio is nothing more than a protective case with an inner pocket for a card (or your ID). However, this is part of the Moto Mod family because it attaches to your Moto Z via the phone's rear magnetic connectors - just like any other Moto Mod. When the Moto Folio is on, your Moto Z will gain 55 grams in weight and 3.5 mm in thickness. The case features a magnetic closure preventing it from popping open, so your phone should be pretty safe when tucked inside. 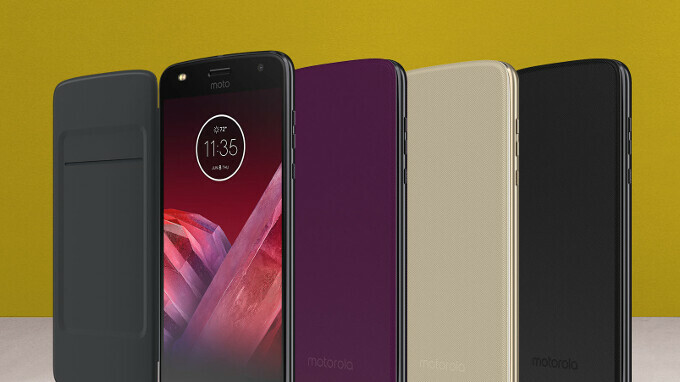 The Moto Folio is compatible with all current Moto Z smartphone models, new or old, and is available in three color variants: Super Black, Grape Juice, and Fine Gold. If you want to buy it, you can find the Moto Folio only at Motorola's official website - see the source link below. For now, it looks like the new Mod is available only in the US. This is a fail and a badly missed opportunity. All it does is cover the active display. This would be way cooler if the front had an LED or e-ink panel for notifications, etc. Otherwise, it's just like the crappy Samsung hard cover that serves no real purpose. I'd rather use a tempered glass screen saver and case.